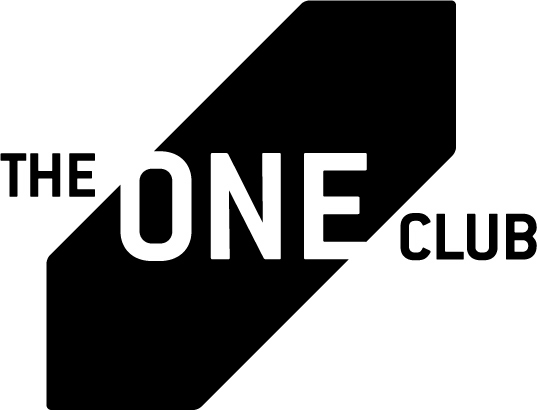 For the 2013 One Show, The One Club selected advertising agency JWT New York to curate and design the show’s creative production, bringing a consistent creative vision from the call for entries to the 2013 One Show awards and through the after-party. Hosted by actor George Takei, the 2013 One Show will take place on Wednesday, May 8, at the Alice Tully Hall at Lincoln Center, followed by an after-party at the Bowery Hotel. JWT created the theme for the 2013 One Show call for entries and awards show, inspired by the Indian proverb of “first deserve, then desire”—with the concept reversed to Desire.Deserve. In advertising, desire represents the all-nighters and the weekends and nourishment that are sacrificed in the name of creating the best work. Deserve comes second, as the resolution and recognition of our efforts. "The One Show recognizes the best in advertising and design, and we wanted to make sure that the entire event reflected that high standard of creativity," said Emily Isovitsch, Managing Director of The One Club. "JWT put forth a strong creative vision and brought together a fantastic team of production partners, making it possible to incorporate some inventive production elements, from 3D rendered visual artwork to an interactive game." JWT worked with several best-in-class companies, including MPC, inTacto, Bent and AnalogFolk, to bring to life the creative vision for the One Show. Mike Geiger, President, Chief Integration Officer, JWT North America, added: "It’s been an honor and a pleasure to work with the One Show on creating the Desire.Deserve theme and its multiple experiences. I have to give special thanks to all the production partners who helped us in ensuring this year’s One Show is a memorable event. Without them, we couldn't have achieved what we did." To increase global involvement in the One Show awards this year, JWT created the Wheel of Karma, an interactive karma-fueled game where participants are invited to view the work of this year’s One Show finalists. The project also aims to invoke a sense of community among creatives by becoming more informed about their colleagues' work and to inspire the next generation of young creative leaders. As players accumulate “good karma points,” they can win epic and out-of-the-box prizes provided by some of Ad Land’s most respected creative visionaries—including Barton F. Graf 9000’s Gerry Graf, AKQA’s Rei Inamoto, Leo Burnett’s Susan Credle, and more. The project was built with digital partner inTacto, and will live on the One Club site beginning May 7 at http://www.oneclub.org/wheelofkarma for the next month. As part of the overall experience, Desire.Deserve-themed billboards by JWT and digital boards by AnalogFolk, a leading maker and marketer of interactive experiences for clients like Pernod Ricard, HSBC and VW Group, will be on display outside Lincoln Center on the night of the One Show. Films by Oregon-based moving-image-making agency Bent will also be part of the night’s events. For the One Show after-party, MPC New York, a global leader in VFX with projects that include Oscar-winning Life of Pi and Prometheus, created “Fracture,” a new visual installation for attendees using custom software and Kinect camera technology. A first-of-its-kind experience in physical scanning and generative animation, “Fracture” allows guests to transform themselves into 3D rendered visual artwork. For more information, visit http://creativeweek.com/oneshow.